Peel Road Runners Women’s Cross-Country team continued to enjoy success in their new winter league taking 1st, 2nd & 4th places in race number 2 held prior to Christmas. The race was held at Foremark Reservoir, the same venue as race number 1, but with the conditions under foot being very different due to the inclement weather at the time. Once again it was Emma Pick who was on excellent form on the day and crushed the rest of the field finishing in a time of 41:55mins, almost 2 minutes ahead of second place finisher Emma Birtles and the rest of the runners. Emma also improved her positioning from race 1 and crossed the line with a time of 43:43mins. Rachael Rickards put in a tremendous performance and was the third Peel member to cross the finish line in 4th place overall with a time of 46:12mins. The remaining team members all played their part in keeping the Peel Road Runners Women’s at the top of their division – Sophie Galloway (18th place) 55:06mins, Sandra Ingram (24th place) 58:45mins, Val Lawson (25th place) 58:59mins. The team tops the division by 3pts ahead of Lichfield, Washlands & Mickleover who all have 18pts. The Peel men were missing some key runners for race 2 but those that did run put in some terrific performances. Martin Hollamby was the first male Peeler across the finish line in 3rd place overall with a superb time of 36:31mins. Lee Rickards wasn’t too far behind with a time of 38:44mins and 11th place overall. Michael Shelton was next to finish in 19th place with a time of 41:53mins, Darren O’Leary 44:07mins and 28th place overall, Simon Smith 44:55mins and 33rd place overall, Darren Truman 48:52mins and 45th place overall & Richard Finnegan 50:55mins and 51st place overall. The men hadn’t managed to field the required number of individual entrants for the race and were penalised on the day under the rules. After two races, the men’s team tie on 19 points with South Derbyshire but lie in 3rd place overall on finishing position count. As a Club, the Peel Road Runners lie in 2nd place in the league just two points behind the leaders Lichfield. Peel Road Runner Bob Donovan had an eventful few days marathon running in Liverpool over the New Year period at the Liverbird Marathon event. Marathon number one was on the 31st Dec and Bob found the going physically tougher then he’s experienced to date and completed the 26.2miles in a time of 5:55:20hrs. Then on the following day – New Year’s Day – marathon number 2 of the event took place and the previous days troubles were just a sign of the problems to come for Bob. Sickness and an injury to his back saw Bob complete only one of the 6 mile laps before he had to sadly withdraw from the event. 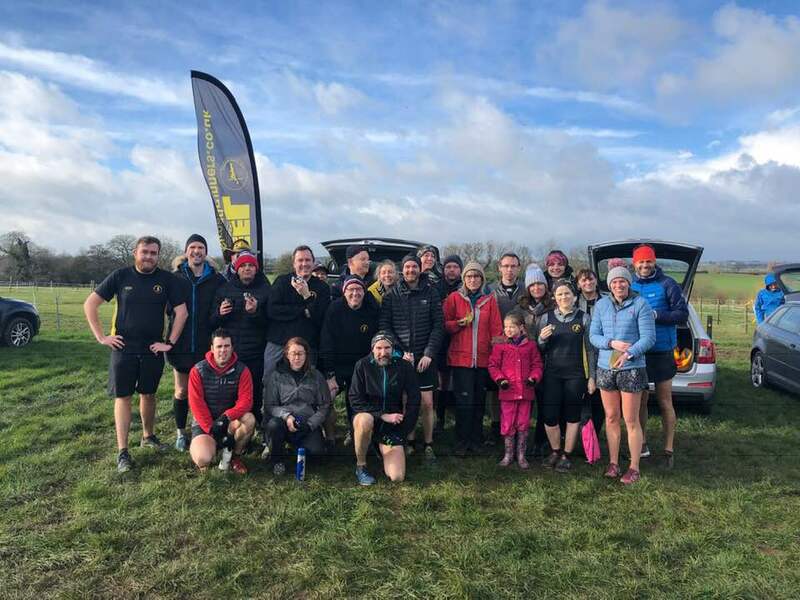 The weather has also had an impact on the weekly Parkrun events held across the country with many events being cancelled. However, on the 23rd December many Peel Road Runners did manage to find somewhere to run. Michael Stevenson was running down in Basingstoke and managed a time of 29:06mins for his 5k. Allan Williams was up in the north west at Warrington with his running shoes and he managed a time of 27:21mins. Closer to home Helen Manton was at Conkers and managed a time of 28:57mins and the popular Kingsbury Water Parkrun drew in the most Peelers for that weekend. Ashley Baldwin finished as the 4th male and in 6th place overall with his quick time of 17:33mins. Lee Rickards wasn’t far behind with his time of 19:07mins and 12th place overall. The next Peeler to finish was Martin Hollamby with a time of 19:37mins ahead of Darren O’Leary 21:47mins, Stuart Hatton 24:56mins, Dave Fern 25:11mins, Sophie Galloway 25:48mins – a new PB, Ian Summerill 28:53mins, Marcus Fairburn 31:52mins and Ray Rogers 35:11mins. Peel Road Runners were also well represented at KWP’s New Year’s Day Parkrun. Mike Shelton was the first Peeler home at 20:25, closely followed by Simon Smith with a time of 21:03. Stuart Hatton and Darren O’Leary completed the race in 24:59 followed by Shaun Coyle in 25:37, George Hope in 25:46 and Robert Hirst in 26:45. Darren Keenan ran a time of 32:02 with Christine Keenan running in close behind at 33:35. Caroline Evans completed the run in 34:44 and Sandra Ingram in 36:39.